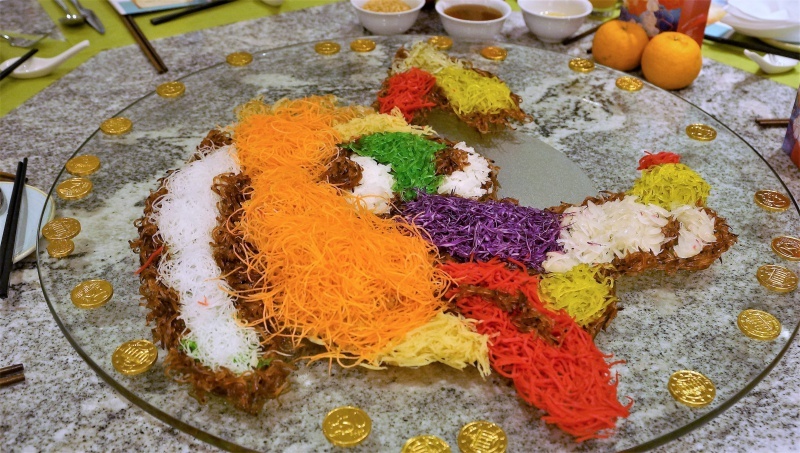 If you plan save on the hassle of organising a Lunar New Year reunion meal and are looking for a right place to enjoy a sumptuous meal with your family, the Prosperity set menus at Ellenborough Market Cafe @Swissotel Merchant Court Singapore is one of the good choices. Available from 5 Feb to 2 Mar 2018, you have the choice of two different set menus at $788 per table of 10 or $988 per table of 10. The chefs are set to captivate you with a variety of ambrosial creations. 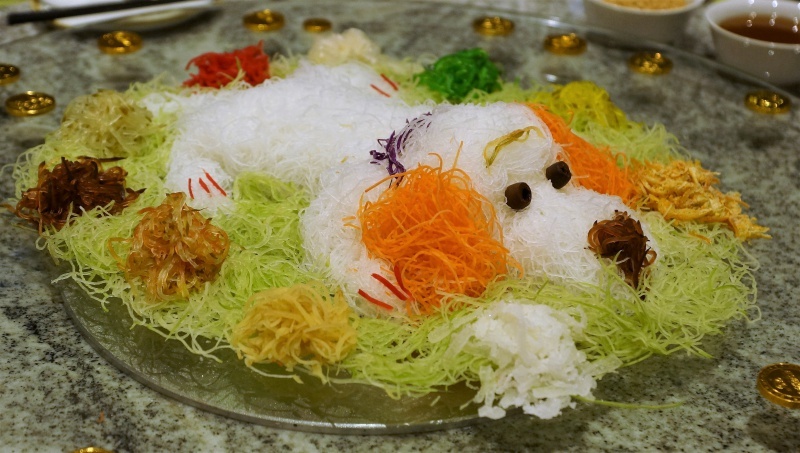 Let the Lo Hei with the cute dog platings bring you a prosperous year ahead. 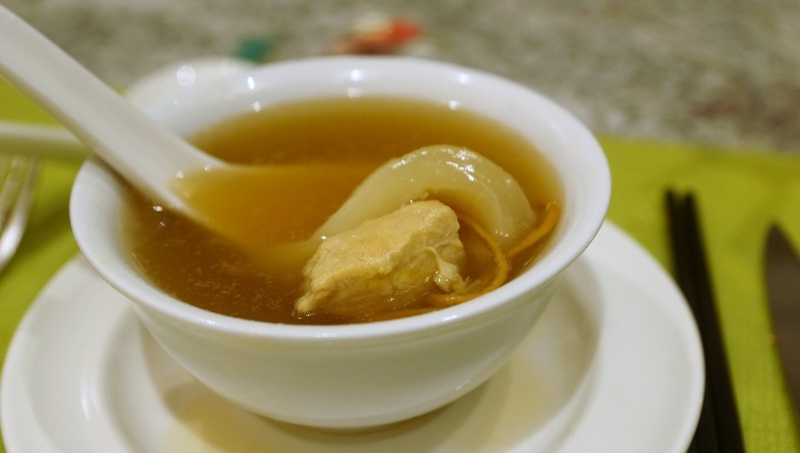 You can enjoy the essence of the herbs and a hint of sweetness from the scallop in the bowl of double-boiled soup. 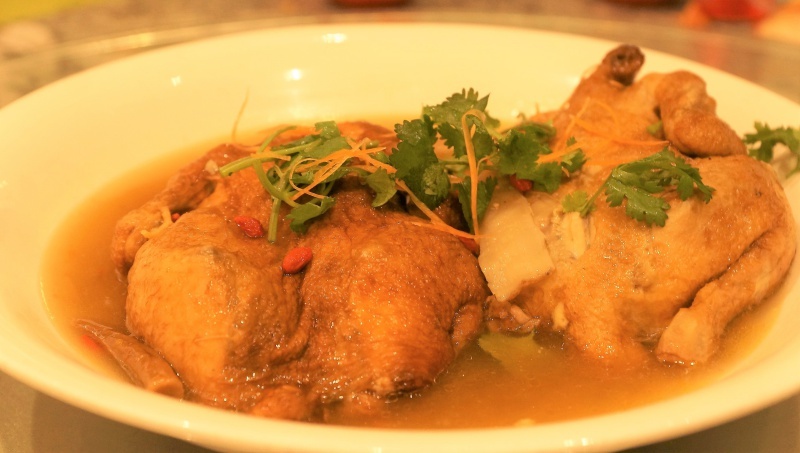 Tender meat infused with the flavour of the herbs to make the Imperial Herbal Chicken a welcoming dish for all of us. Lunar New year can’t go without the fish, a symbol of abundance and prosperity. Deep-fried Grouper doused with the special sauce was certainly a highlight of the reunion meal. 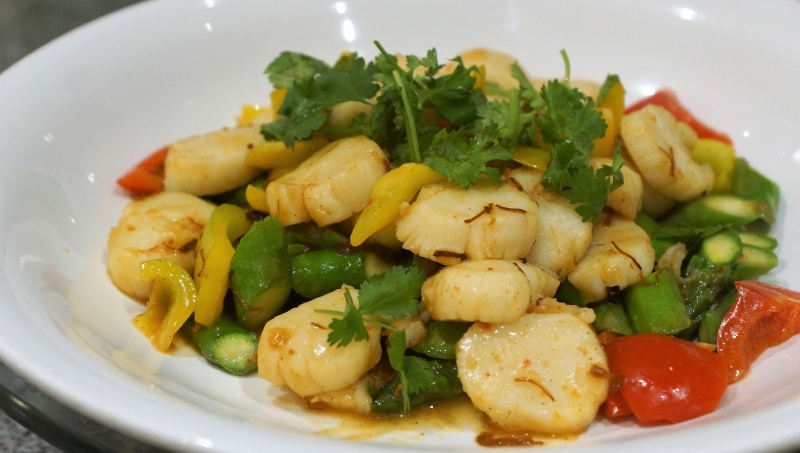 Crunchy Asparagus cooked with fresh scallop in the XO sauce, a very palatable dish that everyone enjoyed. 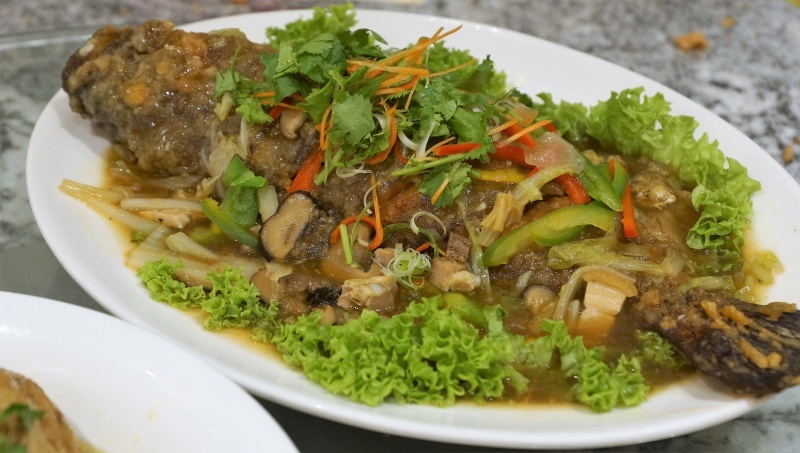 You will love the small braised abalone. 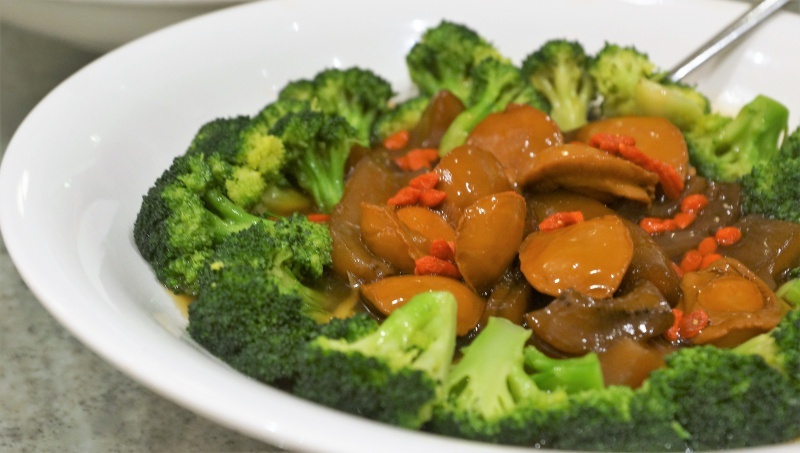 Its texture was very tender and not at all rubbery, paired perfectly well with the thick slices of sea cucumber and the broccoli. 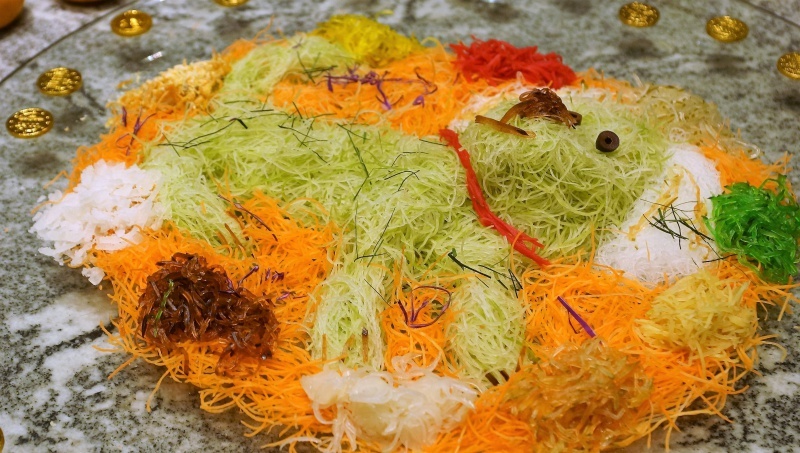 It is a dish that will excite your palate. 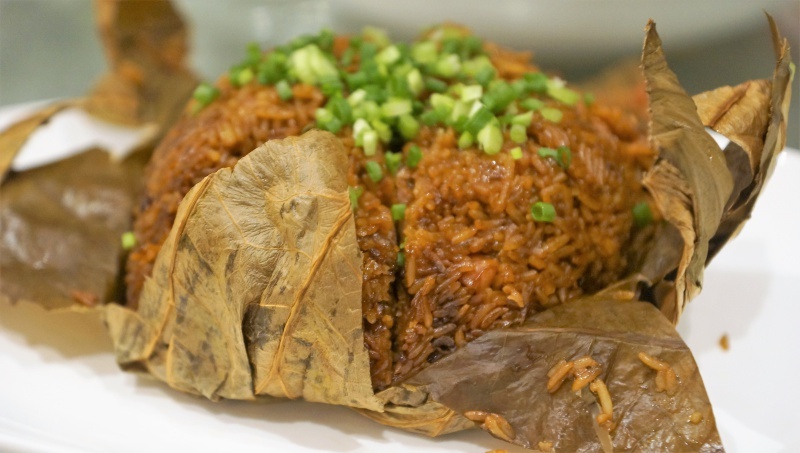 The flavour of the glutinous rice was distinct, the lup cheong or Chinese sausage with mushrooms couldn’t be better matched in delivering the savoury dish. 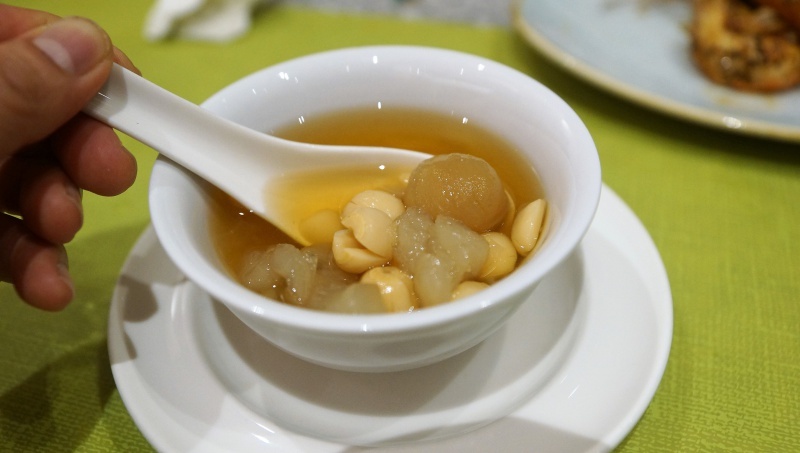 The “Hasma” with red date, dried longan and lotus seeds made a perfect sweet ending to the reunion meal. 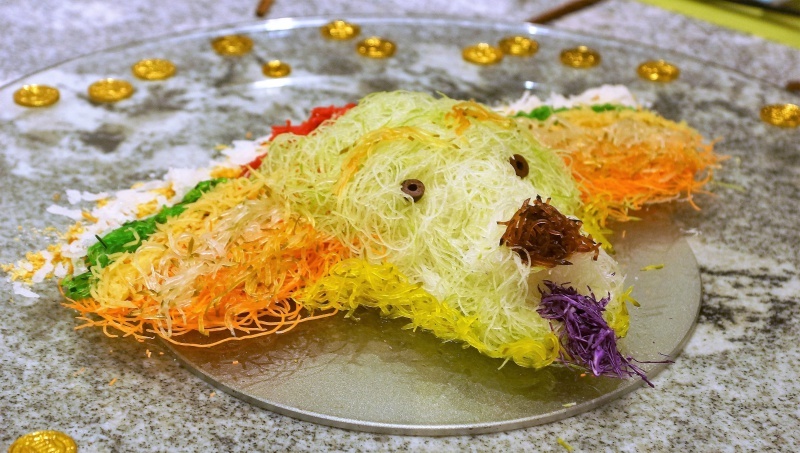 Looking for a place to celebrate the year of Dog? Do consider The Prosperity Set Menus at Ellenborough Market Cafe, Swissotel Merchant Court Singapore which is a great choice for a reunion event. 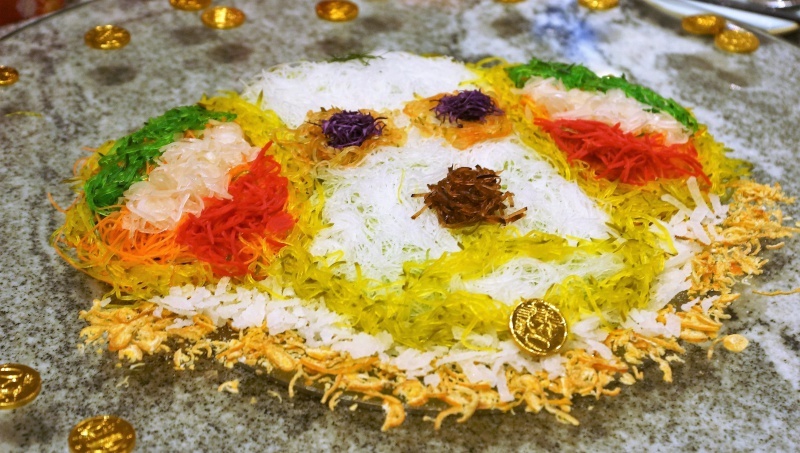 Enjoy the sumptuous meal with your loved ones and look forward a happy and prosperous Lunar New Year!